Type 2 diabetics who take Invokana, Invokamet or other SGLT2 inhibitors may be at risk for a number of serious side effects, including diabetic ketoacidosis and kidney failure. Invokana lawsuits are beginning to mount in U.S courts, all of which claim the drug’s manufacturers failed to provide patients and doctor with adequate warnings regarding these possible risks. Invokamet patients may be able to file similar claims if they suffered these complications while using the medication to treat Type 2 diabetes. 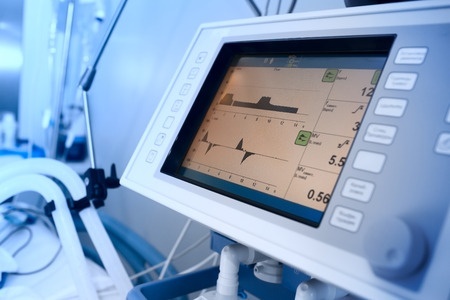 The nationwide law firm of Bernstein Liebhard LLP is now evaluating product liability claims on behalf of Type 2 diabetics who allegedly developed ketoacidosis or kidney failure due to their use of Invokamet and other SGLT2 inhibitors. If you are interested in filing an Invokamet lawsuit, please call (888) 994-5118 to learn more. Invokamet is a Type 2 diabetes medication that belongs to a class of drugs known as SGLT2 inhibitors. It consists of two prescription medicines called canagliflozin (Invokana) and metformin. May 2015: The FDA announced it was investigating 20 cases of diabetic ketoacidosis among patients treated with SGLT2 inhibitors such as Invokamet. All of the cases were reported to the agency’s database between March 2013 and June 6, 2014, though additional reports have since been received. All resulted in the need for hospitalization or emergency medical treatment. In its December 2015 communication, the FDA advised patients using Invokamet or other SGLT2 inhibitors to stop taking their medication and seek medical attention immediately if they experience any of the above symptoms. Since the FDA issued its first safety communication in March 2015, a number of Invokana lawsuits have been filed on behalf of patients who were allegedly harmed as a result of the medication. November 2015: An Invokana lawsuit is filed in California federal court after a woman from that state allegedly developed diabetic ketoacidosis due to her use of the Type 2 diabetes medication. She claims that Invokana’s manufacturers were aware of data linking the drug to ketoacidosis, but failed to adequately warn physicians about the risks associated with the medication and the monitoring required to ensure their patients’ safety. Hurt by Invokamet? Help is Available. Legal help is available for those who may have developed diabetic ketoacidosis and other complications allegedly associated with Invokamet or another SGLT2 inhibitor. For a free, no-obligation Invokamet lawsuit review, please contact Bernstein Liebhard LLP by calling (888) 994-5118.